We’re a club made up of about 110 members but we have room to grow. Among our membership, you’ll find local business owners and managers, leaders in education and politics, nonprofit directors and more. Some of us are in the prime of our careers; others have grown into retirement. We are inclusive and proud of it. Our goal is to give every member the opportunity to find the things that will fulfill them. We encourage new members to take on projects, and we afford them the chance to rise up in club leadership quickly, including serving on the Board of Directors. 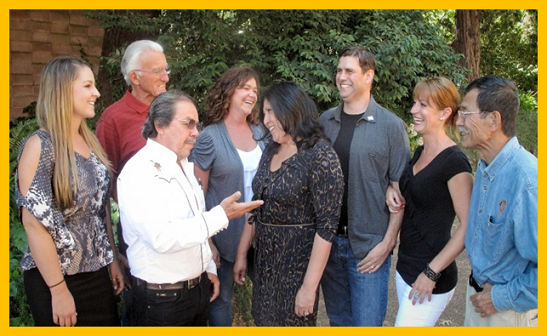 We are also proud of our leadership in Rotary. The club was named "Distinguished Club of the Year" for our District last year, and the District's 2017-18 Governor, Bob Rogers, is a member and past-President of our club. We come together every Friday from noon to 1:30pm at the Community Church in Sebastopol to enjoy each other’s company, share laughs, learn, and strategize the best ways to do good things in our community and globally! Formed in 1925, this club has been going strong for almost 100 years, funding and volunteering for worthy projects such as Learn-to-Swim, Learn-with-Me, Interact, and an international Youth Exchange program. We’re also dedicated to supporting important projects around the world, such as helping to educate girls in developing countries (Uganda right now) and eradicating polio from the planet! We award thousands of dollars each year to deserving local organizations through community grants, a teacher mini-grant program, and scholarships. And we do more than give money; we volunteer for projects that improve our community and we travel around the world to contribute our labor as well as our money. To learn more about our good works, click here. Our club members have many opportunities to contribute. We hold two major fundraisers every year that are not only fun to attend, but also fun to put on, and the club has several annual events that bring us together to enjoy each other’s company, like golf outings and picnics. Our weekly meetings feature speakers who are entertaining and keep us informed about what’s happening in West County and the larger world. The club’s members help find the speakers and a devoted group makes sure every lunch is a warm and memorable experience. And we do far more. We have "get to know you" dinners, cocktail hours, picnics, fishing outings, and golf tournaments. We not only work well together; we get along well together. In all things, we promote ethics, integrity, and character in business, schools, our leadership, and the community. 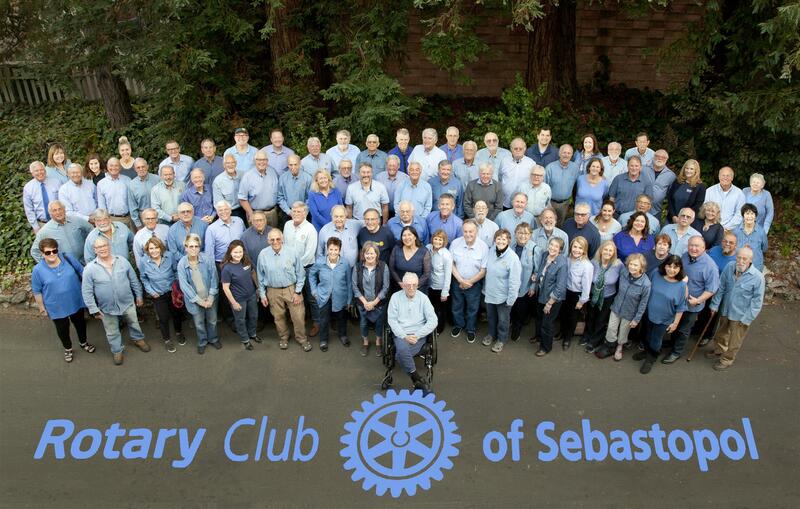 If you want to work with others who share your vision for improving lives, if you want to laugh and have fun, if you want to expand your network and make the best friends of your life, the Rotary Club of Sebastopol is for you.